As of 2015, Dutch life insurers will have to put in place transitional rules ahead of the Solvency II implementation in 2016, but is the insurance industry ready for it yet? From January 2015 on, the transitional regime (overgangsregime) ahead of Solvency II as introduced by the Dutch minister of Finance Jeroen Dijsselbloem will be effective in the Netherlands, in order to prepare the Dutch life insurance sector for the implementation of Solvency II in January 2016. Initially, the key difference for Dutch insurers will be in the volume of reporting to regulators. The Besluit prudentiële regels Wft, the legal specifications of the transitional regime, requires insurers to file an annual report for the year 2014, as well as two quarterly reports for Q2 and Q3 of 2015, based on Solvency II criteria to the Dutch National Bank (DNB). 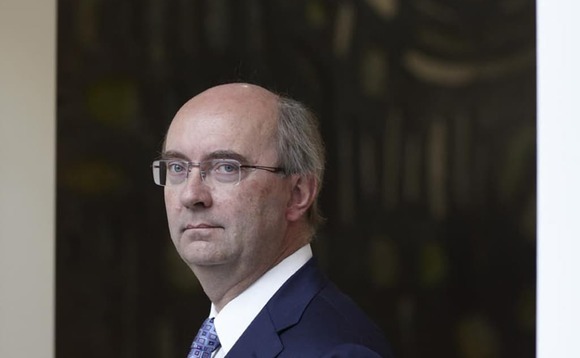 The Dutch association of insurers (VvV) has already expressed its support for the measures: “The introduction of the transitional regime will enable a smooth changeover to the actual introduction of Solvency I,” comments Rudi Buis, spokesperson for the VvV. Besides the logistical challenge, the key question remains whether Dutch life insurers will be able to comply with the solvency requirements. An EIOPA (European Insurance and Occupational Pensions Authority) stress test conducted at the end of 2014 monitored the ability of European life insurers to comply with the Solvency Capital Requirements (SCR) which are an element of Solvency II. Several insurers, including Dutch names, failed to achieve the minimum SCR of 100%. Their shortcomings should be understood in context. Since the 2008 crisis the Dutch life insurance sector has faced a number of challenges, starting from the collapse of returns on investments as a result of the overall market meltdown. While the industry has managed to recover returns on investments throughout 2009, the introduction of tax-efficient bank saving products in 2008 caused a sharp decline of sales from €8bn in 2006 to €4bn in 2011. The reversal in cash flow has put a spotlight on the growing importance of boosting returns on investments. Yet the EIOPA report highlights that Dutch insurers are relatively susceptible to challenges presented due to a persistent low interest environment. This is partly due to a duration mismatch between long term insurance obligations and short term investments. The implication of the EIOPA report is that Dutch life insurers’ asset allocation strategies remain overly reliant on fixed income. Indeed, according to EIOPA, as of 2013, 53.9% of their portfolios consisted of sovereign bonds and 25.3% corporate bonds. Between 2009 and 2014, government bond holdings among life insurers have increased from €65bn to €104bn according to DNB. Yet the relationship with the regulator is far from straightforward, as recent conflict between DNB and insurer Delta Lloyd illustrates. In 2012, Delta Lloyd reduced its interest rate risk hedges just days before DNB introduced a fixed rate for calculating insurance liabilities with terms exceeding 20 years, which would have resulted in substantial losses for Delta Lloyd. DNB fined Delta Lloyd, alleging that the insurer acted based on confidential information, thereby making improper gains. Consequently, it handed out a €20m fine and demanded the dismissal of Delta Lloyd’s CFO. While the outcome of this specific dispute is uncertain, it suggests that Dutch life insurers face a challenging limbo of complying with local regulations as well as pan-European solvency requirements.